The Zoo de Granby is one of the largest in Canada, with over two hundred species of animals. Buried deep within is a small amusement ride area that opens at noon each day, subject to weather conditions. Most of the attractions within are included in the overall zoo admission ticket, but a few are not, including the Orient Express tramway and the Anaconda (#1781) roller coaster. In a particularly bizarre sales policy, it is not possible to purchase single ride tickets; rather, you have to buy a booklet of ten. 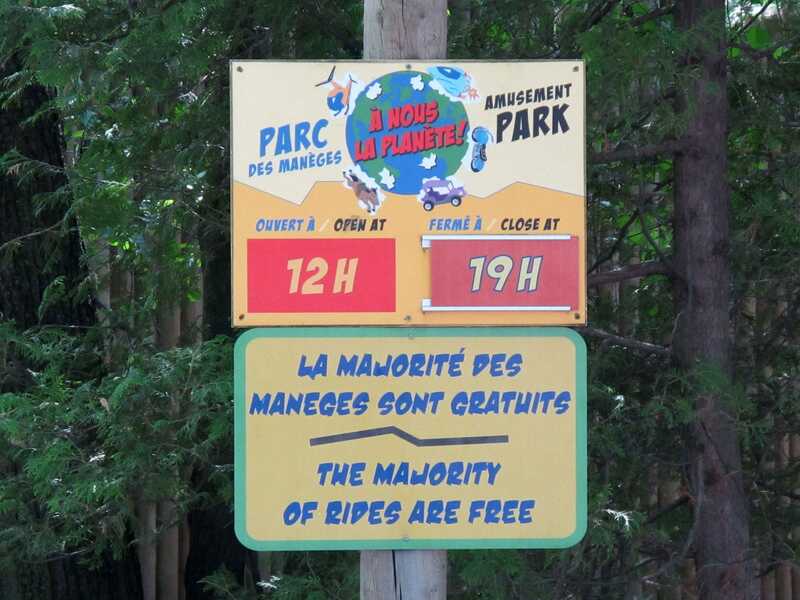 It's also worth noting that the zoo charges higher prices to non-locals, providing a rather nice demonstration of quebecois hospitality. Anaconda was built by L&T Systems, and is about what one would expect from a carnival style coaster; a decent ride, if not one that the average enthusiast is likely to want to repeat more than a few times. The layout is smooth for the most part, with only a single nasty jolt in the latter half of the course that can easily be braced for. We rode twice, once in the front and once in the back, and donated our remaining ride tickets to a young family. Mega Parc is built into the Galeries de la Capitale shopping center in Quebec City, a location that I've wanted to visit for several years. The problem has always been how to fit it into a trip itinerary, as it is a very long way from any other parks without being large enough to justify a special flight. Getting there on this trip required a six hour diversion on the route from Granby Zoo to our overnight hotel, which was only manageable when we eliminated all other stops from the day. Capitale Express (#1782) was built by Mack Rides in 1988, and is the oldest standard roller coaster from the German company still in operation. The layout begins with a fully enclosed helix with some neat lighting effects, then continues with a few airtime hills spanning the length of the shopping centre, finishing with another intense helix and a final brake run. The overall length is quite short, but this is solved by sending each train around the course twice. The ride was surprisingly good given its age and design, and while I'm not sure I'd make the effort to get back, I'm nevertheless glad I've finally ridden it. 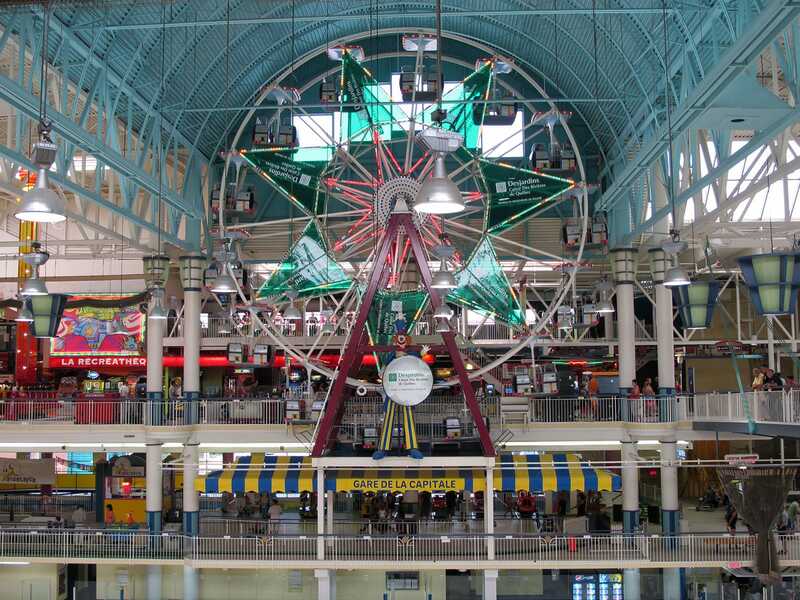 The park also has an indoor ferris wheel, a carousel, and a selection of flat rides. The wheel did seem a little pointless to me, given that its views would not be very different to those obtainable from the different floors of the shopping mall, but perhaps there's a method to the madness!